European Solvents Industry Group (ESIG) processes the personal data transmitted to it in accordance with the legislation in force, and, in particular, Regulation 2016/679 of 27 April 2016 on the protection of individuals with regard to the processing of personal data and the free movement of such data, applicable from 25 May 2018.
if you have subscribed (subsribe button) to our latest news, to send you the Solutions newsletter (biannual) and monthly newsflashes. The data controller in respect of our website is the Aromatics Producers Association (APA), a Sector Group of Cefic. 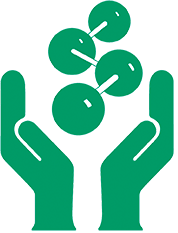 The European Solvents Industry Group (ESIG), a Sector Group of Cefic, the European Chemical Industry Council (Cefic), a non-profit organisation. Unless we are investigating suspicious or potential criminal activity,We do not make, nor do we allow, any attempt to identify you from the information collected via server logs.